But Michael Tippett hid a secret past as an active Trotskyist trying to bring about violent revolution in Britain, according to new research. A forthcoming biography reveals that Tippett had extensive involvement with Trotskyist parties in the 1930s. In a previously unpublished letter, he wrote: "I am not a pacifist but a military enthusiast... and war to the knife, to the death if need be." Oliver Soden, who has written a new book on Tippett, told The Sunday Telegraph: "Everyone thinks of Tippett as this benign creature who went to prison for his pacifism. And yet here he was saying entirely the opposite." In researching the first major biography of Tippett, he has uncovered the composer's "strange journey from national traitor to national treasure". "He'd turn up on Terry Wogan chat shows, was beloved by the Royal Opera House, and considered for the role of Master of the Queen's Music," said Soden. "He stopped the news when he died. Yet this knighted composer at the heart of the British establishment had this hidden violent anti-establishment past." Soden delved into 70 archives and was given access to private material. He pored over MI5 papers for the Communist party and the papers of Marxist parties. There had been fleeting references to Tippett's Trotskyist sympathies in the past. Soden found evidence that Tippett was at the centre of the Militant Group, raising funds for Trotskyist parties during the Spanish Civil War. 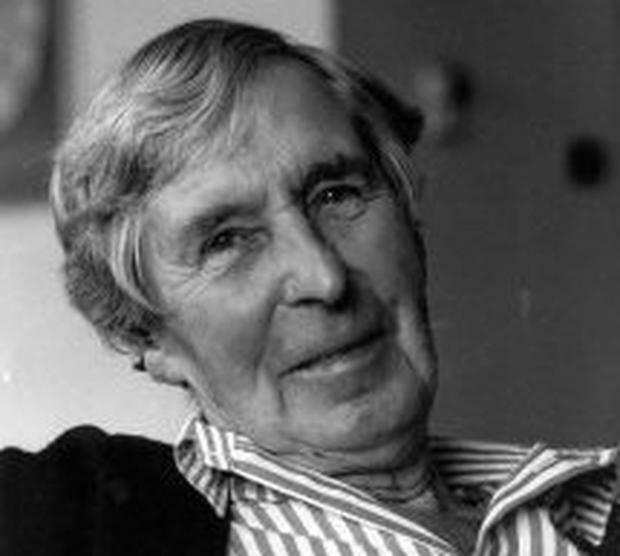 Tippett died in 1998, aged 93. Soden is developing a TV documentary on Tippett and has curated an exhibition on him in Aldeburgh, Suffolk. His book, titled Michael Tippett: The Biography, is published on April 18. Meirion Bowen, Tippett's life partner of 40 years, said: "Soden's research into [Tippett's] early life and political involvement... uncovers information that is new even to the composer's closest friends."